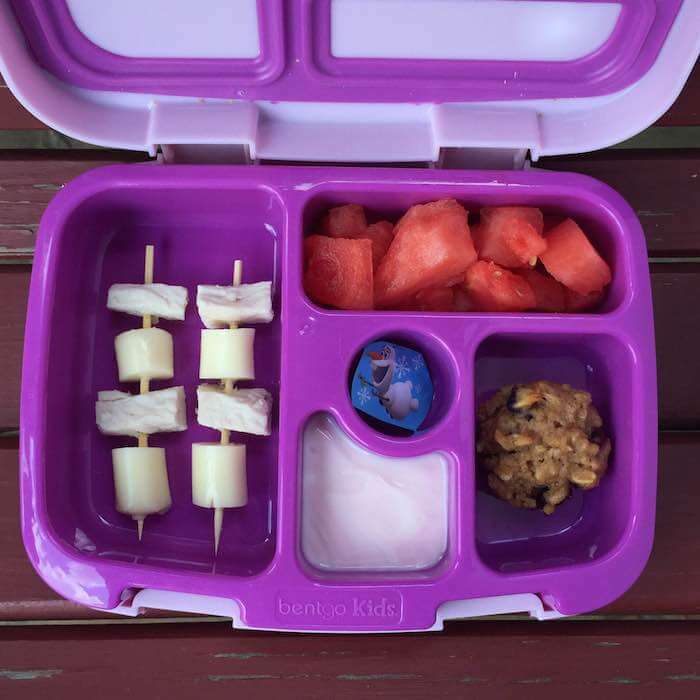 Another day and another week of healthy lunchbox meal plans! Isn’t that how it goes for us parents? We are rolling into the second week of school and I’m excited that Ellie has gotten behind the various foods that I’ve sent in her lunchbox each day. 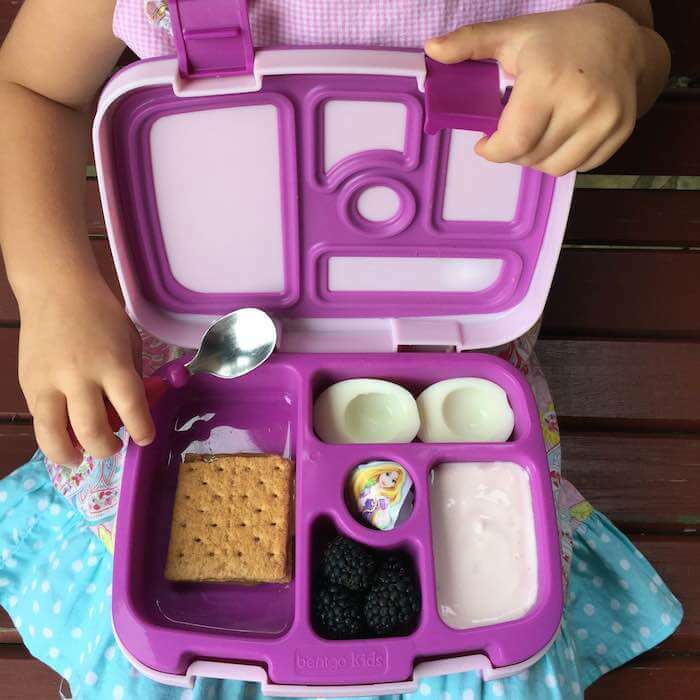 I’m hoping in the upcoming weeks to incorporate more basic recipes into her lunchbox versus just single ingredients as well as try some homemade versions of some of her favorites like Cheez Its, Fig Newtons, etc. I’ll make sure to always share the website link or the recipes (if it is one of mine). 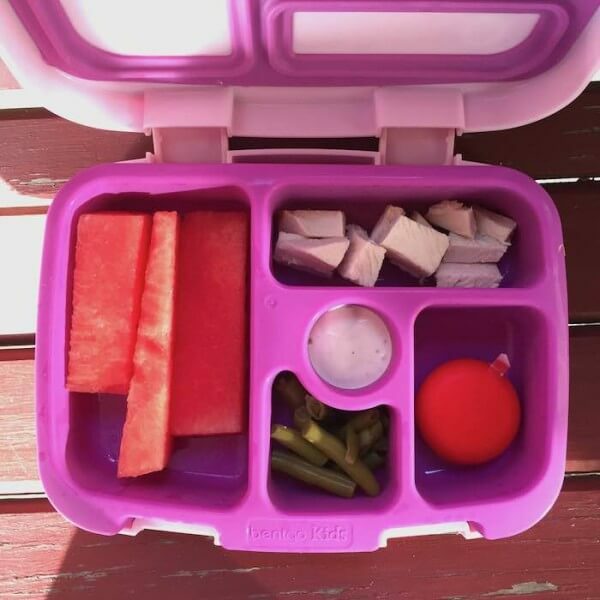 One thing you may notice with this week of meal plans is that some items repeat like the yogurt, hard-cooked eggs, watermelon, chopped turkey and green beans. While I’m all about showcasing as many foods as possible, I also am realistic that groceries are expensive and it makes sense to use what you have. In some circumstances, you’ll see I’ve tried to present in a different way like chopped watermelon versus sticks or cubed turkey by itself versus on a skewer with cheese. As we get deeper into the school year and I start sharing my grocery lists with you, I think you’ll appreciate the cost savings of buying an item in bulk and finding new ways to use it. I would love to hear your thoughts on this and if you agree or if you think there should be more variety day-to-day. 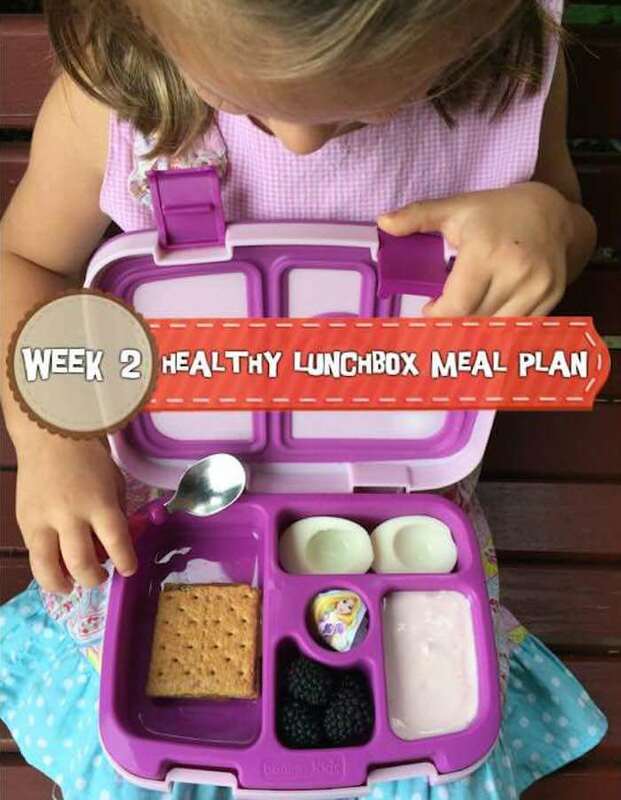 Thanks for stopping in this week for your healthy lunchbox meal plan and don’t forget to come back each day to pin the image! 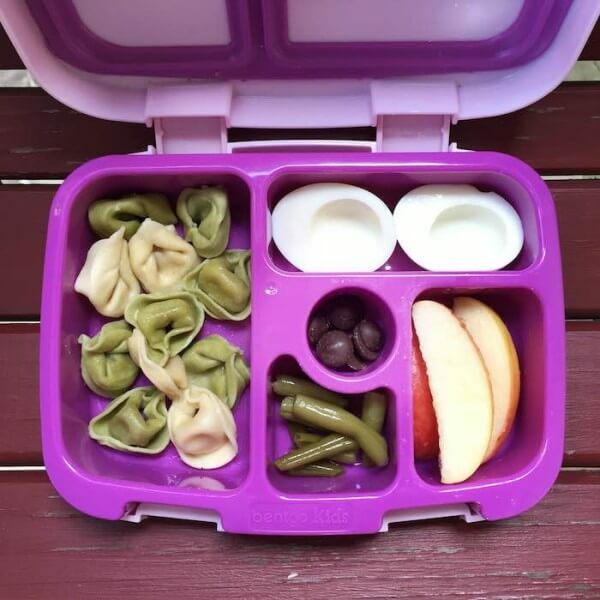 As I photograph the lunchbox each day, I’ll be sure to come back and update the post so you can pin or save each one. Also, don’t forget to check Instagram and Facebook for the lunchbox picture of the day.